In case you're having trouble selecting gifts for Christmas this year, I've put together a list of some spiffy holiday gift ideas that might work if you don't mind a food theme. - Wendy's Frosty Tag - $2 - It makes for a cheap stocking stuffer or gift for an acquaintance, and has the added plus of benefiting a good cause. They're sold out online but you can pick them up at a participating Wendy's restaurant (I recommend calling ahead to make sure your local Wendy's carries it as one Wendy's near me has them while the other does not). - Limited Edition Nutella Stencil and Decorating Tool Jars - $5 or so - Specially marked jars of Nutella include a holiday-themed stencil or multi-tool that you can use to decorate various foodstuffs with Nutella spread. 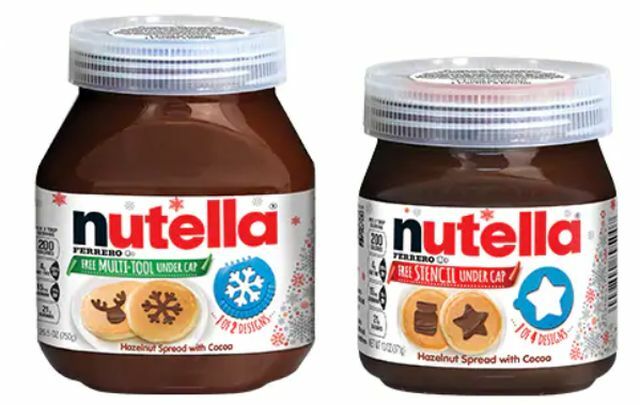 While these are listed on the Nutella website, I don't know where you can get them as I haven't been able to find them being sold online and didn't see them at the local supermarket. You might have to just try your luck and hope you can find it. - M&M's Character Ponchos with Character Tote Bag - $7.47 on clearance at the M&M's online store - It's cheap, keeps you dry, and can double as a Halloween costume! - Yummy World Food Plush Toys (pictured at top) - Starting at $7.90 and up on Amazon.com (you can also order them directly from Kidrobot) - Cute plush toys of various foods including a corn dog, Shake Shack fries, a bag of Hot Cheetos-like "Fiery Cheese Puffs," and more. Chances are, if they have a favorite food, you can find it in plushie form. - Retro Candy Bars T-shirts - Starting at $18.87 on Amazon.com - Tee Luv offers a number of officially-licensed, super soft retro t-shirts featuring many candy bar brands (as well as other food brands). I'm partial to Reese's but they also have Hershey's Sugar Daddy, Bazooka, Skittles, and a lot more. 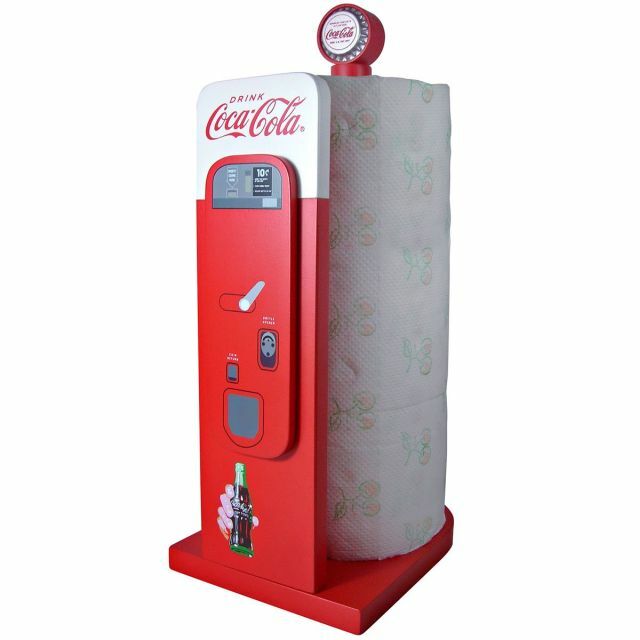 - Coke Vending Machine Paper Towel Holder - $19.95 at the Coca-Cola online store (but it's currently sold out. However, I found it in-stock on Amazon but it's a little bit more at $21.67 but includes free shipping) - It's a wooden paper towel holder that features a 1950s Coke vending machine graphic on one side. - Hershey's Chocolate Covered Almonds Tin - $19.99 at the Hershey's online store (there's also a discount if you buy it in bulk) - These are here solely because they make up for the miserly amount of almonds in a Hershey's Chocolate with Almonds bar. 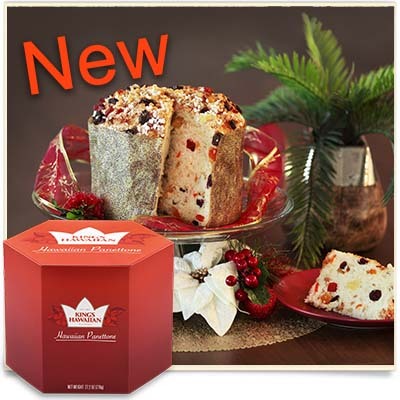 - King's Hawaiian Panettone (they also have fruit cake) - $22 at their online store - I'm not a huge fan of panettone (or fruit cake) but the macadamia nuts in these might sway me. If you're looking for something cheaper, they also have an interesting Pineapple Butter Spread for $6.